Healthy living tips include knowing how to deal with stress and making sure your body's inner doctor is strong enough to prevent tumor growths. What if you already have it? Then living a healthy lifestyle is a priority more than ever. If you won't be proactive, whatever led to the cancer is now there feeding it and making it stronger. Remember that cancer can be inherited. If you know that it runs in your family, you should be more conscious of how you are living your life everyday. 1. Protect yourself from human viruses that can start cancer. The list of dangerous human viruses include the Human Papilloma, Epstein Barr, Hepatitis B and others. Prevention against those viruses can be done. For HPV, be monogamous as much as possible. If you're not, don't neglect protection. Using a condom during sexual contacts with different partners is a wise decision. 2. Protect yourself from sources of harmful radiation. Frequent exposure to any form of radiation such as the ultraviolet type from the sun causes different types of skin cancers. Another source of harmful radiation is radon gas, which can lead to lung and leukemia cancers. Putting on sun protection lotion is one of the basic tips to ensure that your skin stays healthy. Living in a tropical country makes you more prone to skin damage. So it is very important that you adequately protect your skin. If you go to the beach, for example, make sure you re-apply sunscreen lotion every 4 hours or wear UV protective clothing for added protection. 3. Throw away that bottle of liquor. Why should you stop drinking? One very important reason for giving up alcohol is to protect your liver from cirrhosis and eventually, cancer. It also prevents hormone-related cancers that start in your colon, prostate and breasts. If you drink heavily, that's no way to living a healthy life. You are also opening yourself to a myriad of heart diseases. 4. Know that smoking is truly dangerous to your health. Smoking or the use of tobacco has never been safe, healthy or beneficial. It brings a whole lot of diseases with it. In fact, what's written on that pack of cigarette isn't a warning that smoking is dangerous to your health anymore. It says "Smoking kills." Besides, it makes you look old and unattractive. Not starting or quitting the nicotine habit is one of the healthy living tips. You will experience the positive effects of giving up smoking in 3 areas in your life -- your health, your finances and your family. It's true the connection between cancer and stress is still vague. But experts believe that many of effects of stress on health are harmful. I, for one, know my body reacts to stress in a negative way. When I am really anxious, I feel pain in my stomach. When I am tensed, I get a dull headache that doesn't go away even after taking a pain reliever. Because I'm aware how my body is affected by stress, I always practice steps on how to avoid stress. I also discovered that a weekly foot massage is one of the most effective stress relief tips for me. 6. Take care of your immune system. Your body is amazing when it is healthy. You have a doctor living inside you that can prevent viruses and bacteria to overrun your body. It's called the immune system. Living a healthy lifestyle leads to a fully functioning immune system. The state it is in has a profound effect on your health. If you build up your immune system, you are assured of its ability to protect you from infectious diseases and even tumor. Minimize drinking too many sodas or eating too many cakes. Sugar is a food for cancerous cells and it weakens your immune cells. Get enough sleep as well. There are times we slip and we drink too much or party too much. This is the time we need to help our immune system. 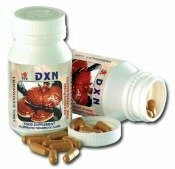 What I have been doing since 2004 is to take all-natural Ganoderma extract supplements. Why should you cleanse your colon? Your digestive system affects how your whole body functions and your colon is an essential part of it. The health of your colon affects the functions of your liver, kidneys, nervous and immune systems. Ever noticed how sluggish you feel when you're constipated? It's because your colon is not meant to hold toxins inside it. How to cleanse your colon? There are artificial and natural methods to do it. The natural way of colon cleansing such as fasting or eating more fruits and vegetables is better. 8. Use extra virgin or virgin olive oil in your meals everyday. According to researches done in the United Kingdom, people living there are clueless about cancer prevention tips. They are not aware that some foods can cause the disease and some can block it. Olive oil benefits you by protecting you from different cancers like leukemia, breast and colon. A war against the disease has been waged in the United States when the late President Richard Nixon signed the National Cancer Act. Sadly, we are not winning the war against cancer. Experts have focused on finding the cure but there is still no cure. There is a need to change the way we fight cancer. Let's work more on its prevention. Fight it with healthy living tips.